Chicken can be cooked and relished in multiple ways. But, do you know about the black chicken? Yes, Kadaknath Chicken, which is found only in a few places is one of the most appreciated breeds of Chicken, people die for. If you think fish can be boring at times, just drop this thought now! It can be relished in a number of ways. And the ones all fish-lovers around the world put interest in are Fish Pakora and Fish Tikka. They are crunchy, juicy, and light too. 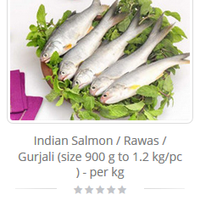 These scrumptious fish delicacies work great as an appetizer.